While the city of Chicago buzzed with energy after watching their Cubs baseball team reach the World Series for the first time since 1945, the “Windy City” also played host to the first Grand Prix event of the figure skating season, Skate America. Despite it being the first major international event, the caliber of performances was undeniably high and Team USA had a weekend to remember, medaling at least once in every discipline for seven medals overall, and creating incredible momentum heading into the five remaining Grand Prix events this fall. From the moment he landed the first jump of his free skate, it was abundantly clear that it was Japan’s Shoma Uno’s event to lose, predominantly because that first jump was a quadruple flip. In April at the inaugural Team Challenge Cup, Uno became the first man to ever land the jump in competition. In Hoffman Estates, he landed it beautifully to begin his program. The 18 year-old Japanese star would go on to land two other quadruple jumps (a quadruple toe loop and a quadruple toe loop-double toeloop combination) and despite a fall on his second triple axel, he distanced himself from the rest of the field with a technical score of 100.11 points in his free skate alone, the highest by far in the event. His total competition score was 279.34, the highest combined total of his young career. In only his second senior international season, Uno has already put together quite the résumé, and he furthered that with his first Skate America victory. It was a momentous day for Jason Brown, who finally was able to land his first quadruple jump in competition. Despite it being deemed under-rotated by the technical panel, Brown still amassed his highest ever combined total and his highest ever free skate score in ISU competition, making this Skate America the site of several huge personal victories. His stunning free skate delighted the crowd in his hometown of Chicago and contributed to his total score of 268.38 for the competition, giving him the silver medal, which marked his third Skate America medal in as many years. 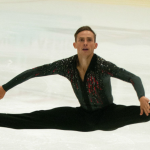 Not to be outdone, Brown’s teammate Adam Rippon also overcame a tremendous personal challenge as he performed his breathtaking free skate — to “Arrival of the Birds” by the Cinematic Orchestra and “O” by Coldplay — for the first time after changing his music only two weeks before Skate America. Rippon had used the Coldplay song as his show program on Stars on Ice this past spring, as well as in performances in Japan over the summer. Despite a fall on his opening quadruple toe loop, he put together a bronze medal-winning total score of 261.43 points. Competing in only his second senior Grand Prix event and his first Skate America, Team USA’s Timothy Dolensky impressed many with the quality of his skating and his potential for further growth. Even though he doubled a planned quadruple salchow, he got stronger as his free skate went on and earned a total competition score of 226.53, a new ISU personal best, which put him in eighth place for the event. 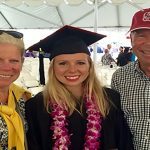 A great deal has been made in the figure skating community about Ashley Wagner’s continued success even at age 25, perhaps because it is so impressive in a sport that requires its athletes to peak at such a young age. Skating to the beautiful “Exogenesis Symphony Part 3” by Muse, Wagner registered the highest component score of the field in the free skate and showed both her artistic maturity and her competitive spirit en route to her gold medal with a total score of 196.44. Taking home the silver medal was Wagner’s new training mate, Mariah Bell, who put together two solid programs and showed new technical mastery on her way to winning her first Grand Prix medal. Bell won the free skate and landed a triple Lutz-triple toe loop combination in both her short program and free skate for the first time in her career. In addition to her total competition score of 191.59 being a new personal best, her short program score and free skate score were personal bests as well, putting her in a wonderful position for the rest of the season after being a late addition to the Skate America field. Another surprising member of the podium was Japan’s Mai Mihara who was making her senior Grand Prix debut at the age of 17 after winning Nebelhorn Trophy last month. Mihara landed five of the seven planned triples in her free skate, and her total competition score of 189.28 was good enough for the bronze medal. While her artistic side has room for growth and improvement, she showed promising technical prowess for her age. Gracie Gold, who was third heading into the free skate, had two falls and no triple-triple combination in her free skate, although she did land a double Axel-triple toe-double toe combination that scored nearly eleven points. Her total score of 184.22 put her in fifth place for the event. Her next Grand Prix event is Trophée de France in three weeks. After the event Gold spoke candidly of her disappointment in her performances. “We just need to adjust my physical shape and mental shape to see if the program can be salvaged for the rest of the year,” she said. Despite only being 19 and 23 years old respectively, Canadians Julianne Seguin and Charlie Bilodeau skated two clean and unique programs to top a deep and competitive pairs field for their first Grand Prix gold medal. Their free skate to “Cinema Paradiso” featured a clean throw triple Lutz and throw triple loop as well as two successful side-by-side triple jumps, and they were able to capitalize when many of the other top teams struggled with consistency. Their total score of 197.31 secured their victory by almost five points over silver medalists Haven Denney and Brandon Frazier of the United States. Two years ago, Denney and Frazier won silver at Skate America. A year ago Denney was having almost total knee reconstruction and they had to forego the whole competitive season, so it was a huge personal victory for them to not just make it back onto competitive ice, but to take home another Skate America silver medal in the process. Known for their consistency, the only blemish on their protocol was a downgraded double toe loop in their side-by-side triple salchow combination jump and a singled axel, but beyond that their triple twist and other lifts soared as they put together a total score of 192.65. Rounding out the pairs podium were Evgenia Tarasova and Vladimir Morozov who struggled in their free skate after winning the short program. Morozov was unable to catch Tarasova cleanly in their attempted quadruple twist, which resulted in negative grades of execution. They also were only credited for a single salchow and it looked as though they were never able to build momentum after the twist error. Their competition score totaled 185.94 and despite coming in fifth in the free skate they were able to secure the bronze medal. The other two American pairs teams struggled in the short program but were able to put together better free skates to begin moving in the right direction for the season. Defending national champions Tarah Kayne and Danny O’Shea were eighth after the short program but moved up to sixth overall after placing third in the free skate. Their total score of 173.50 was a significant improvement from their international season debut two weeks ago. Marissa Castelli and Mervin Tran missed a lift in the short program but ended up placing fourth in the free skate and finished in seventh place with a score of 171.95. In a competitive ice dance event, defending national champions and World silver medalists Maia Shibutani and Alex Shibutani won their first Skate America gold, while fellow Americans Madison Hubbell and Zachary Donohue claimed the silver and Russia’s Ekaterina Bobrova and Dmitri Soloviev took home the bronze. For more ice dance coverage please visit ice-dance.com. The Grand Prix series will continue at Skate Canada International, October 28-30, 2016, in Mississauga, Ontario. Photos from Skate America coming soon!